Thanks to Annaleis Smith from the Utah National Parks Council who shared this document with us. Here is the "Pack Meeting Requirements" doc she created. 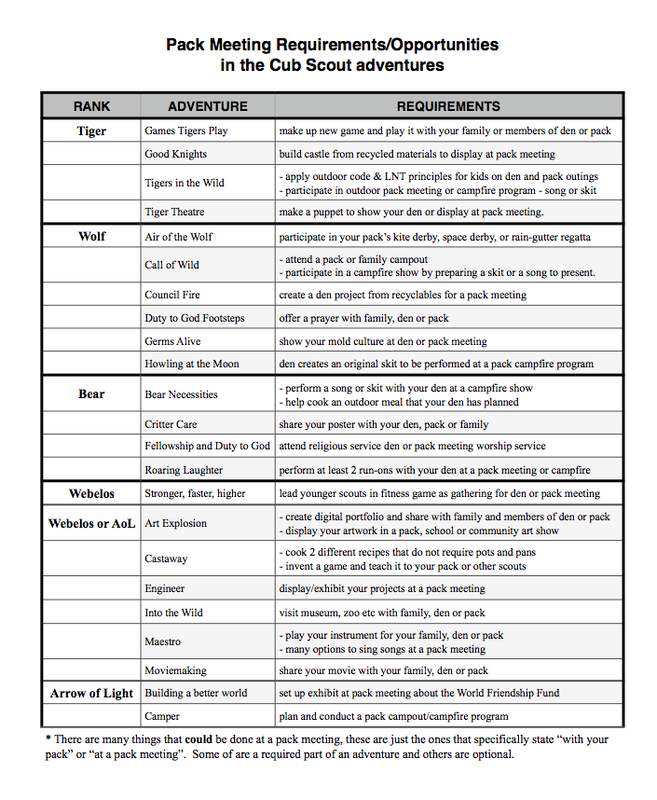 It may help the Cubmaster and Den Leaders plan future Pack Meetings. 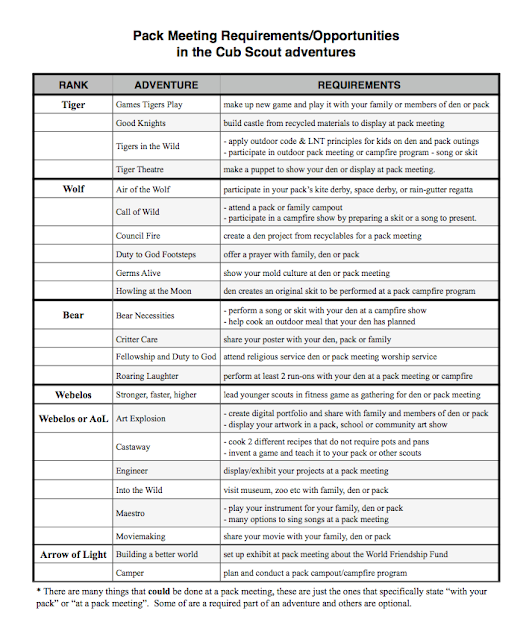 This would be great to use during your yearly Pack Planning Meeting. Thank you! I started to create one and got distracted. :) This will be a huge help to our CM and DLs.